- BATHROOM: BOX WITH SHOWER DECA WITH HEATING BOILLER HAIR DRYER. 2) ROOM: AIR-CONDITIONING, LCD TV 40'COM SKY, SOFA BED, TABLE WITH 6 CHAIRS, PUFF / CENTRO, CLOSET WITH DISHES. 3) INTEGRATED KITCHEN: EQUIPPED WITH ELETROLUX INOX DUPLEX REFRIGERATOR, OXER ELECTRIC OVEN, COOK TOP INDUCTION, MICROWAVE, DOLCE GUSTO COFFEE MAKER, ELECTRIC KETTLE, STAINLESS STEEL PANS, DISHES, CUPCAKES, COOKIES AND CUPS. • WHEN EXITING THE BUNGALOW THE GUESTS SHOULD CLOSE ALL DOORS AND WINDOWS WITH THE ERRORS, DELETE ALL THE LIGHTS AND AIR CONDITIONING AND LEAVE IT IN PERFECT CONDITIONS UNDER PENALTY FOR THE DAMAGE CAUSED. It is located on the beautiful beach of MURO ALTO, municipality of Ipojuca and has 2,500 meters and its name derives from the cliffs of about 3 meters that form a wall in much of its extension. It has calm and warm water pools which is a great stretch for swimming and also the leatherback turtle comb. There is a natural pool deeper in the region with 10 meters deep. In an enclosed area of ​​the beach is allowed to use jet ski by the natural pool. You can rent a buggy to take the tour around the area until the molded depth of Maracaípe (where after renting a raft can see seahorses). Your Access is by paved road from Highway police station in Pernambuco PE 09, only 6 km from PORT OF CHICKENS and 54 km from Recife. 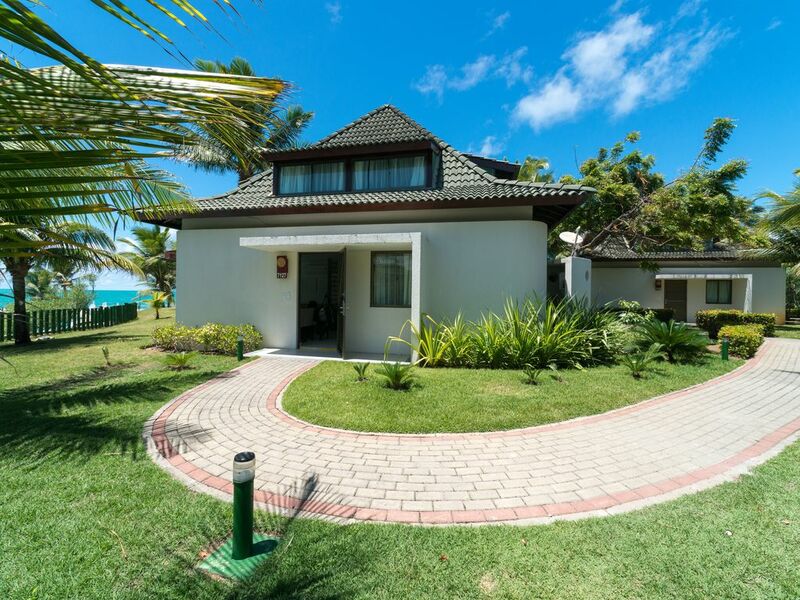 There you will find condos of the highest luxury homes and the best resorts of the Brazilian coast, as Summerville, Nannai, Marulhos, Nui, Ekoara and others.